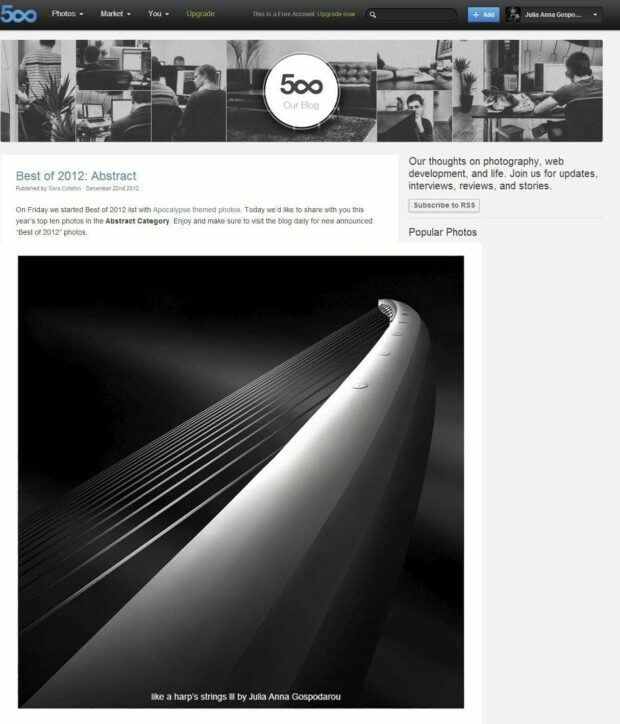 Honored that my image “Like a Harp’s Strings III – Rising” was chosen in the TOP 10 best 500PX photos for 2012 in the category “Abstract”. This is a great accomplishment for me as there are thousands of images on 500px to choose from and the quality of the work there is among the best one can find in an online gallery. And I haven’t even submitted my work for this selection. Actually I’ve just found out about it. So, I’m really happy and quite proud of this. I must say that I’m amazed myself at the impact my work has and truly happy about it.